Take back the life you love. As healthcare delivery and insurance coverages change, consumers can be left with very few options and an incredible amount of confusion on how to care for themselves and their families in the most cost and time effective ways. Visits with quality healthcare providers are getting shorter and time with aides and assistance continues to be on the rise. Stories of frustration with, “the system” continue to increase and alternative options are sparse. 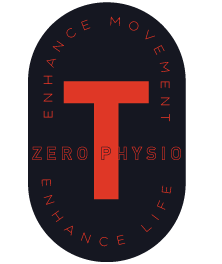 T-Zero Physio is dedicated to providing individualized plans for your physical therapy and sports related needs. As a physical therapy provider, T-Zero is considered an “out of network provider” and all services are billed at the time of care. As many insurances have out of network benefits, you will be provided with an itemized “superbill” to submit directly to your insurance provider for reimbursement or for the billed services to be applied to your deductible. At the time of submission, they will either provide reimbursement or request further authentication of services provided by further communication with you and T-Zero Physio. By taking the “middle man” out of this equation, the discounts and negotiated rate can be provided directly to you as a consumer instead of your insurance reaping the financial benefits of negotiations. At T-Zero Physio, we are committed to providing you with the best care possible and want to give you the opportunity to see if we’re the best fit for you before you commit to working with us. If you are interested in a discovery visit to get to know us better call. Dr. DeGroot is interested primarily in orthopedic and sports related conditions affecting the ankle, knee, hip, shoulder and back. His goal is to promote life long participation in athletics by encouraging appropriate training and smart rehabilitation to help each client reach their goals. When not in the Clinic, Dr. DeGroot enjoys staying active in a number of ways. He is a 9 time marathon finisher and has a goal of completing the marathon distance in all 50 states. He also completed the 200+ mile Run Across Haiti with Team Tassy in 2016. He is also a 70.3 distance triathlon finisher as well as many time sprint/olympic distance finisher. Kevin also contributed to global health initiatives in Ethiopia (Regis University School of Physical Therapy) and Kenya with Compassion PT. Connect with Kevin on DaoCloud. Kevin is dedicated to using his education and gifts to continue working towards the betterment of whomever he interacts with all while seeing the world as an exciting place to be explored and experienced.